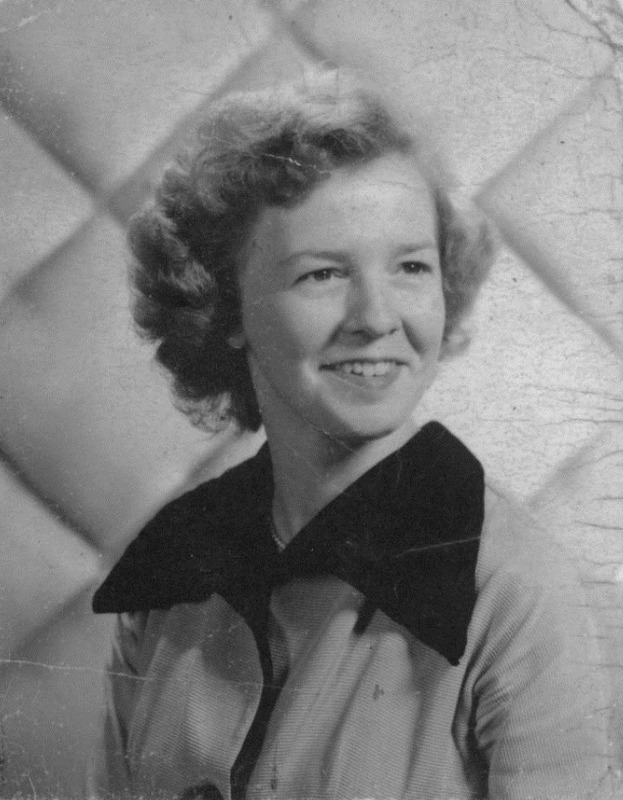 Caro Marguerite Shute McDowell, known by most as Kay and to family as Mom, Gram or Auntie Kay was born March 20th, 1927 in Bath, Maine. She was the second daughter to Charles and Lona Shute. Her siblings Dorcas, Londa, Mildred, Elmer and John were all born in different towns throughout New England. Like so many of her generation her family was bitterly poor. They moved frequently from place to place so her dad could find jobs. She had fond memories of Keene, New Hampshire, but really most of New England was her home. A determined person from the beginning, she not only worked hard on the farms, but also at school. She had many stories of cleaning the chicken barn and feeding animals before school, then returning home to work in the garden. Her Puritan work ethic inspired everything from taking cows to the fair to winning a 4H canning competition where she canned 400 jars of carrots. Working at whatever she could she pieced together tuition for the University of Rhode Island. She loved her years at URI where her Davis Hall dorm is now a historical building on the quad. She was quite the social girl in a time where people actually wore gloves, hats and carried dance cards at parties. She witnessed the famous basketball “shot heard round the world” that was marked with an X on the floor of Madison Square Garden for many years. She was a member of ADPi and remained active in local ADPi gatherings until just a few years ago. Kay came of age during the war years, watching her two brothers and all other able bodied young men of her time go off to the service. She had many stories of gas rations, putting jam in coffee as there was no sugar and studying the tails of planes so every citizen could report a foreign plane flying overhead. Half a century later she would still get tears telling the story of her grandmother dropping to her knees to thank God there would be meat on the table when a confused rabbit was found in the barn. After graduating with her Home Economics degree she worked for Beechnut Baby Foods counseling new moms on infant nutrition. It didn’t take long for her to decide that adventure was calling and that the far off land of Alaska (not yet a state) was the place to go. She found a job at Elmendorf AFB and met her husband to be, Carl Eugene McDowell who had been stationed there. They explored, hunted and fished every corner of Alaska they could get to. They married at the base and immediately became the last of official homesteaders on a mountainside just outside of Anchorage. She was never afraid of the bears, the snow or the hard work involved in living on the homestead. The “privy” as they called it, was serval yards from the trailer they lived in. Imagine that at 20 below. During snowstorms they took turns through the night driving up and down the small road they had built to keep it plowed so they could get out for work the next day. With time and expecting a baby they gave up the homestead and moved into Anchorage. Cheryl (me) in 1957 and Ronnie in 1960. It was an idyllic childhood with every available weekend spent camping, fishing and exploring Alaska. Kay had an insatiable interest in Native lore and Alaskana. She collected trade beads and tokens, later writing a book about them called “Rubles to Statehood”. She was always active in coin clubs, Camp Fire Girls, Cub Scouts, church, school and library events. With her Home Ec degree she was a frequent judge at the State Fair. Alaska was not for the faint of heart, from sled dog races, to pony rides at 10 below during Fur Rendezvous to enduring the 1964 earthquake (9.2 on the Richter Scale). Kay loved it all. Kay returned to school at the University of Alaska to obtain her teaching degree as well as her Master’s. She taught middle school remedial reading at Diamond-Mears for many years and then when the balmy 70 degree Februarys of Arizona called, she continued to teach at Carson Jr. High. Leaving Alaska was a difficult decision to make, she loved everything about it except the fact that with age the winters seemed to be getting longer and harder. Once the decision was made, she insisted on leaving in the same way she had lived there, with a sense of adventure. Gene and Ronnie flew to Arizona, but Kay and Cheryl drove the 1400 mile Alcan highway, camping along the way. In Arizona she studied Real Estate with her husband, getting her broker’s license and eventually leaving teaching for Real Estate at Red Mountain Realty. She was interested in all kinds of business transactions and followed property values and the stock market until her stroke. For fifty years Kay spent some time nearly every summer in Maine. She enjoyed every moment at her camp. Playing cards and word games with her brother John were an especially fond memory. She watched for deer and birds and some years gardened. There were family picnics, antique auctions and travels to cemeteries to follow up on her genealogy findings. Kay had 90 years of excellent health and a full life. She was active in mind, body and spirit. A sudden devastating stroke ended all of that in late April of 2017. Bedbound and only able to communicate with eye and facial movements, she persevered for 8 ½ months. Her family is especially proud to have been able to keep her in her familiar surroundings at home. Kay died New Year’s Day, 2018 with Cheryl and Dave at her side. Kay has kissed the Blarney Stone, welcomed 7 grandchildren and 6 great grandchildren into her family. She has said good bye to her husband, her son, a grandson and 4 younger siblings. She has won and lost in Las Vegas, zip lined at 85 and went sky diving at 80. She has floated the Colorado River through the Grand Canyon, taken a mule down to Phantom Ranch and flown over it. She has ventured to the tiny village of Nome, Alaska and has climbed the Great Wall in China. She has been in a balloon race in Reno, fallen into Lake Tahoe and has caught more fish than anyone could count. By anyone’s standards that is a full life. Her family will miss her. She is survived by daughter Cheryl Preston and son in law David. Daughter in law Kathy Dickinson McDowell and grandchildren Christina Kolding and husband Evan, Kimberly Caro Kulick (named for her) and husband Mike, Mark Preston, Cody McDowell, Cassie McDowell and Calen McDowell. Great grandchildren Brylie Kay (named for her), Nasia, Kaylee (also named for her), Joseph, Megan and Andrew. Her older sister Dorcas is the only one remaining of her siblings. There are numerous nieces and nephews near and far. She will continue to be an inspiration to us all. Our condolences Cheryl, to you and the family. Wow. What an amazing woman. Was always a pleasure to see your Mom and could always tell she had a great love for her family. Her warm smile will forever be in my memory. Prayers to you and the family. Cheryl and family- this stroke hit so close to my heart! I just loved reading about your mom’s life! I can only hope to lead a quarter of her life! All my love to you all! I never knew all about your mom’s adventures until now, but I remember how she encouraged us on our “epic” bike ride/campout in Anchorage as young teens. 🙂 I’m glad she was able to welcome so many grandchildren and great-grandchildren, and remain so active even through her 80’s. And now she is on to her next adventure! Sending love and hugs to you and all your family. I never knew she was a teacher and taught at Carson. I taught there too in the late 80’s. Amazing woman, always smiling, love and prayers to you Cheryl and all of the family. Aunt Kay was so special to all her nieces and nephews, but as the oldest of the cousins, she was especially good to me. One of my greatest experiences in life was my trip to Alaska to stay with your Mom and Dad and you, Cheryl for the summer in 1958 or 59. You were 1 year old. I also stayed with her occasionally when she was living in Provience on Benefit St. I think she may have been in college then. she always wrote to me and sent special unusual things to me from wherever she was. I remember she and Aunt Mim taking me to the icecapades when I was young and to other shows. She will always be remembered with love and fondness and will be missed greatly. Cheryl, Dave and Family, We are so sorry to hear about your mom. We never met her but followed all your loving comments about her on Facebook!! She sounded like a really amazing woman and lived life to it’s fullest. It’s so great you were able to keep her in your home for so long. Wished we could have done the same for our mom!!! Loving thoughts and prayers coming your way! What a full, interesting journey! A remarkable life enjoyed by a remarkable woman! Kay was an amazing gal, full of spirit, adventure and determination. I loved our conversations and looked forward to my visits with her. Our trip to Vegas was unforgettable. She was a kindred spirit to me. We were so much alike. I will miss her so much. She truly lived a full and adventurous life. My deepest condolences to her family and loved ones. Kay was one of a kind! Heaven is lucky to have her. I think Aunt Kay must have been everyone’s favorite aunt when we were kids and we all dreamed of going to Alaska to visit her and Uncle Gene. When we finally made the trek, they went out of their way to make the trip memorable; catching salmon and crabs and cooking them on the beach at Homer will always rank as one of my top memories with Kay and Cheryl. 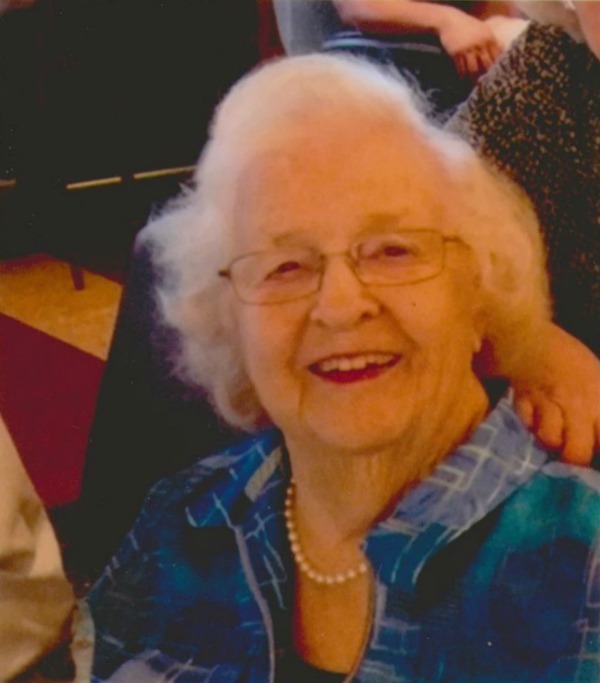 She sparked a lifelong interest in genealogy and family history too. She will be long remembered. Your Mom was such a joy! Always smiling and full of life! I never knew she taught at Carson Jr High. Small world! She lived life to the fullest and never wasted time! Always another adventure! So unfortunate that she had her stroke! What a wonderful lady she will be missed dearly. Our love to all of you. You are all in our thoughts and prayers. I am heartsick to hear of the passing of your mother and mother in law Kay. Your writing is very touching and a wonderful tribute to a full life! Thinking of you all during this sorrowful time. Take care. Love from Brian and Nancy. Dear Cheryl, I can’t express how much i miss your mother and how much I keep thinking of you. When Auntie Mimi died, it took a year for me to come to grips of the totality of her loss. I am here for you at any point you need. Your mom was the quintessential traveler, and i loved her for that. She always had a great story about her journey of some native she could relate too, and it was always something where they were smarter than she. I just loved that about her because she saw others in there environments as relatable craftsman just like herself, however so much to learn from. She was like an Eleanor Rosevelt to me, and your dad was so lucky to snag her. However, she would say of him, he was as handsome as Gary Cooper, the actor. Tall, strong, good looking, and smart, all those characteristics she wanted in a man. He delivered, and then you two were born. And what great kids you were, I only wished I could have had your up bringing.